Enough. : True Measures of Money, Business, and Life - IFA Vintage and Current Book Library - Index Fund Advisors, Inc. Inspired in large measure by the hundreds of lectures Bogle has delivered to professional groups and college students in recent years, Enough. seeks, paraphrasing Kurt Vonnegut, "to poison our minds with a little humanity." 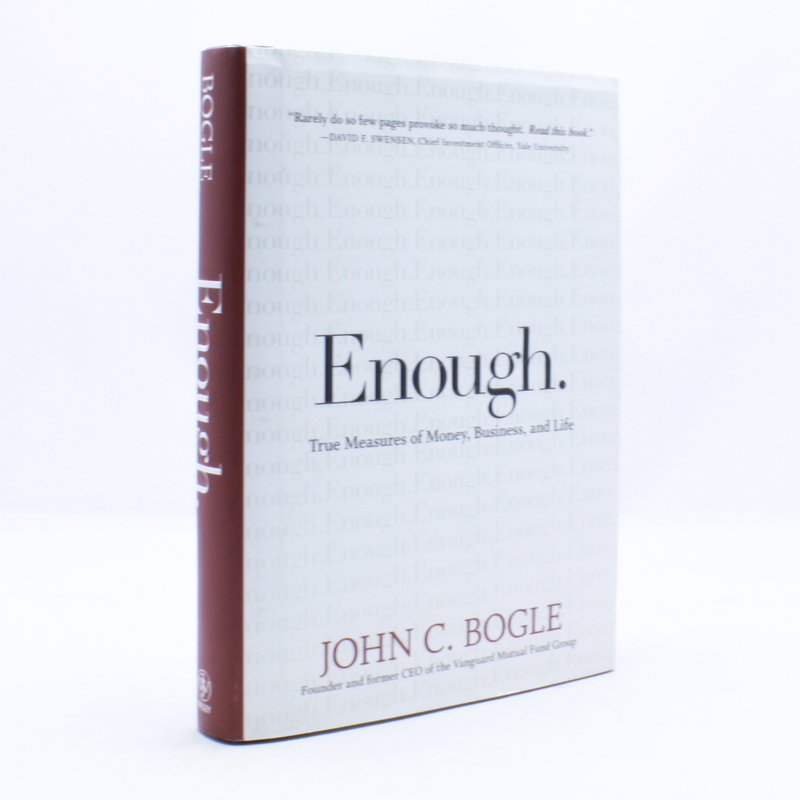 Page by page, Bogle thoughtfully considers what "enough" actually means as it relates to money, business, and life.